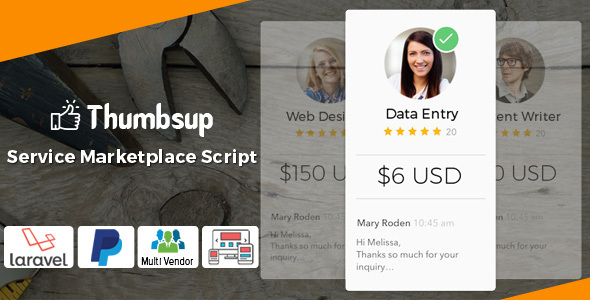 Thumbs up â€“ The legend of service marketplace script. its suits for all service marketplace. Thumbsup is a multivendor CMS, a powerful modulable app and has a fully responsive design. Built with Laravel and Bootstrap (HTML5 & CSS3). It is packed with lots of features.